One of the most common questions at the tourist information office is how to pay the toll fees in Norway. 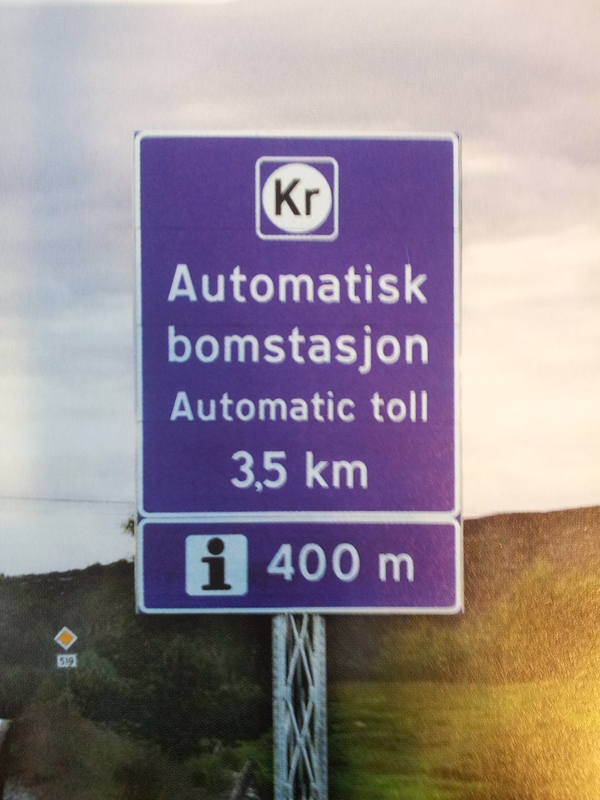 There are many people that take a road trip along this Scandinavic country, and many of them wonder how the toll system works. In many countries around the world, the toll fees are payed by stopping and paying that same moment, sometimes to an automatic machine, and sometimes to a person working there. In Norway the system is different. The payments here are collected through the AutoPASS system, which means that you pass through the toll roads without stopping. When you pass through the AutoPass toll spots, a camera will take a picture of your registration plate. But then, how do you pay for them if you never stop? The easiest one is just to continue driving through Norway, and then wait for the invoice once you’re back at home, without extra-charge. The invoice will be sent to the owner of the vehicle. You can then pay with a credit card, or from a local bank. The second option is to register your credit card at www.autopass.no. There you can prepay automatically a certain amount, and then each passing will be deducted from the prepayment. If you prepayed more than the amount of times you passed through the tolls, you will get a refund. The third option is to pay for the tolls you’ve been through at gas stations. You will know in which gas station you can pay when you see a sign that says “Kr- service” (usually they are Esso gas stations). Note: There might still be some toll spots where you have to pay manually. Here, you have to pay that same moment, otherwise you will get a fee of NOK 300. There are very few of them though.